Which Is Better – CPA Or Public Accountants? Which Is Better – Certified Public Accountant Or Public Accountants? In the ever-evolving corporate world today, the need for accountants to carry out financial affairs for businesses is in high demand. However, different accountants cater for different affairs. How would one know which is suitable for one’s business or financial affair? It can be achieved comparing each and every aspect of the accountant type, of course. Arguably, the most popular type of accountant is the Public Accountant and the Certified Public Accountant (CPA). These two sound so similar to one another that one may mistake one for the other. In fact, both carry out almost the same duties. However, bear in mind that all Public Accountants may not be a Certified Public Accountant, whereas all Certified Public Accountants – without doubt are accountants. An accountant is a person who looks after financial records in a business or of individual works. 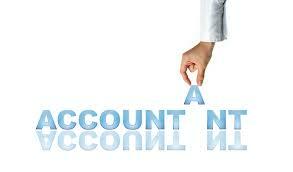 The accountant would have a good knowledge about the owner’s equity, cash flow, chart of accounts and balance sheet. The accountant too, would know how each of these will affect the business and holds the responsibility to issue financial reports. Accountants, either hired by the business itself or outsourced from accounting firms that offer accounting services are not required to be certified professionals. On the other hand, a CPA is a professional regulated by the state, an accountant who passed certain tests conducted by relevant Institutes of a country and they need to complete 80 hours of professional education to keep up with the latest trend in accounting every two years. However, the requirement in becoming a CPA varies from one country to the other. As such, the accountant is not qualified to do the works of a CPA whereas a CPA is able to do all the work of an accountant. The CPA has a higher position in financial and business circle and is able to give advice on financial matters. Knowing the differences between CPA and Public Accountant, one may choose which is more suitable for one’s business and this choice will assist one’s business in growing more with each passing day.